As promised in the last post I'm going to blog regularly. Well, that didn't happen since my Internet connection was in such a bad mood. I haven't had Internet access for a week! *sob sob* So, today i will be reviewing a product which was launched two years back. I know its a new product or anything but i wanted to do a review on it so here's the post. 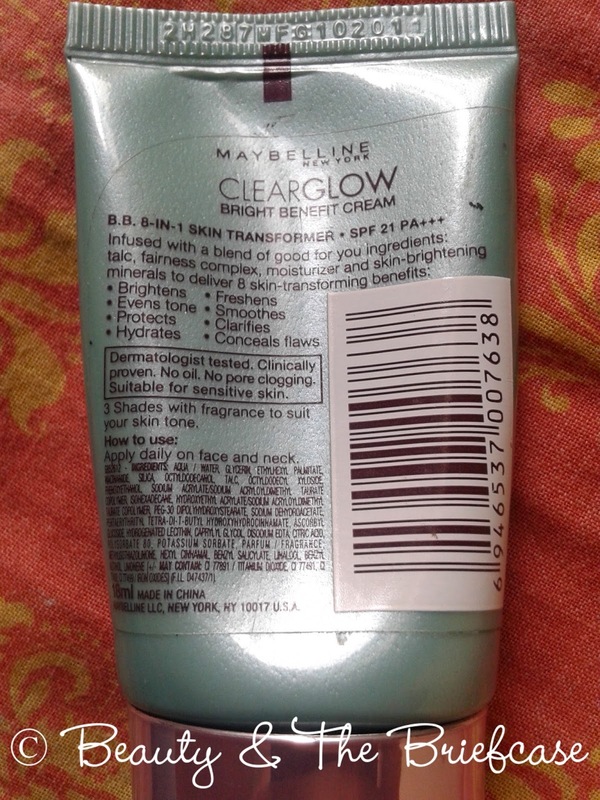 Maybelline was the first to launch a BB cream in the Indian market. 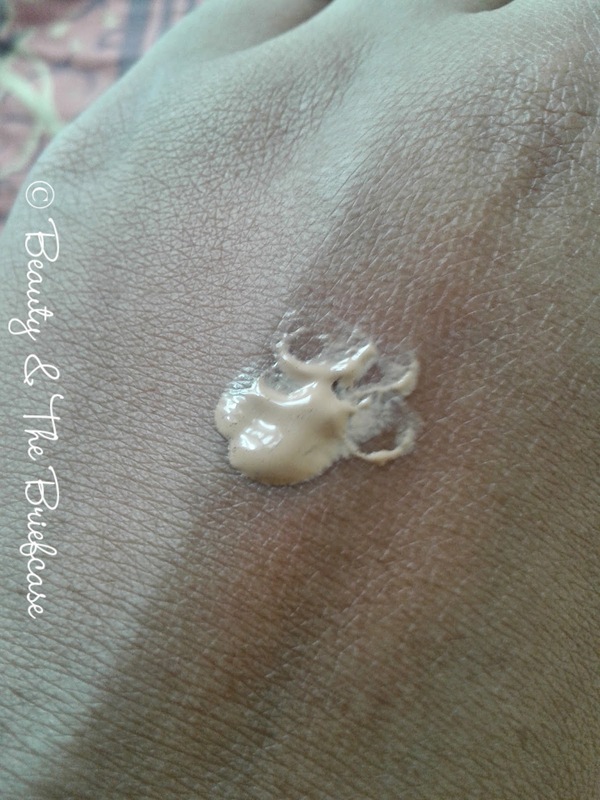 BB Creams are supposed to be all in one creams which does the role of moisturiser, sunscreen, etc. but alas the ones launched in India are only tinted moisturisers. I was super excited when this was launched. I rushed to the stores to get it! So how did the Maybelline BB cream fare? Was it worth the hype that was created? Read on to know my views about this BB cream from Maybelline! 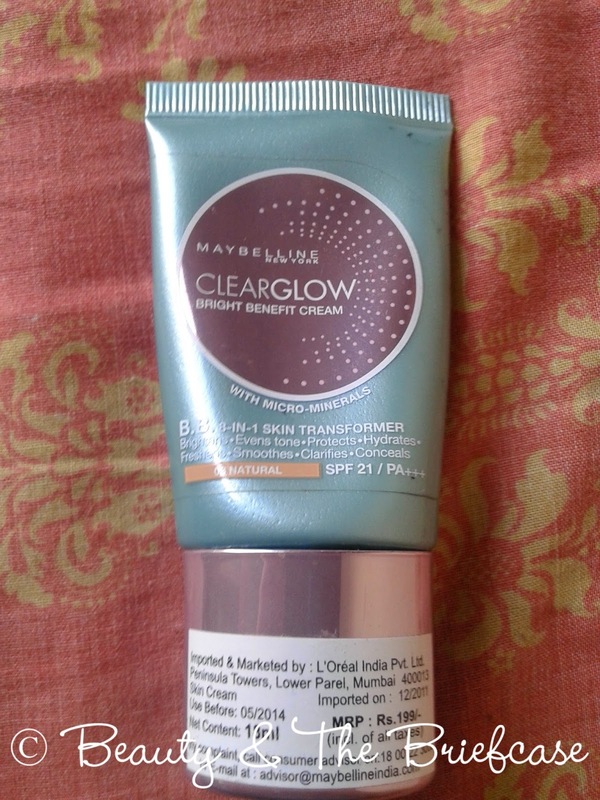 The Maybelline Clear Glow BB cream comes in a simple and cute packaging. The tube is somewhat teal in colour and the cap is in a pinkish steel finish. The tube has a tiny nozzle tip for dispensing the product. The tube is compact and travel friendly. No chances of spillage! 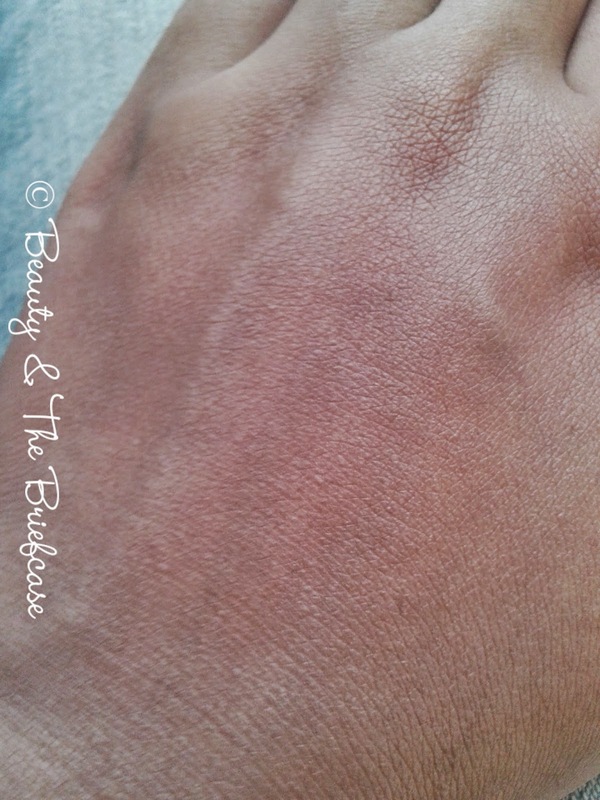 I had picked up the shade Natural as it is closest to my skin tone. It gives medium coverage and does hide small blemishes,etc. The consistency is slight thicker than others of the same kind that are available in the market. 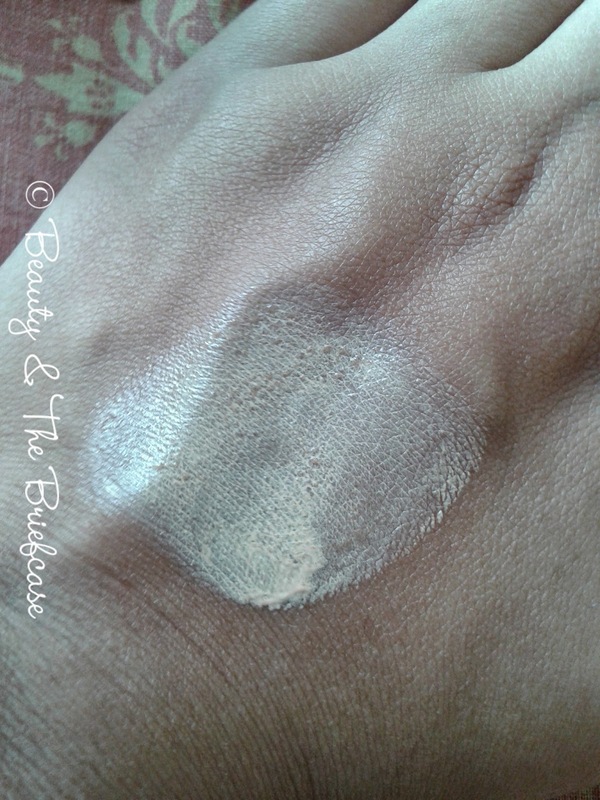 Since, its not thin and runny, you need to put a little effort to blend it well else it can make your skin look patchy. Once, applied it gives a white cast. Give it 5 mins and voila you have radiant skin! It does give a slight amount of hydration and stays put for at least 5 hours after which you may have to do a touch up. It works well for me during most of the year except summers when my skin tends to become slight;y oily. Thus, i can definitely say this product won't work for people with oily skin. No, I have repurchased this product before but i now use the Ponds White Beauty BB+ Cream. You can read the review here. If you have dry/normal skin then you should try it out. If the shade matches your skin tone then this can work wonders. 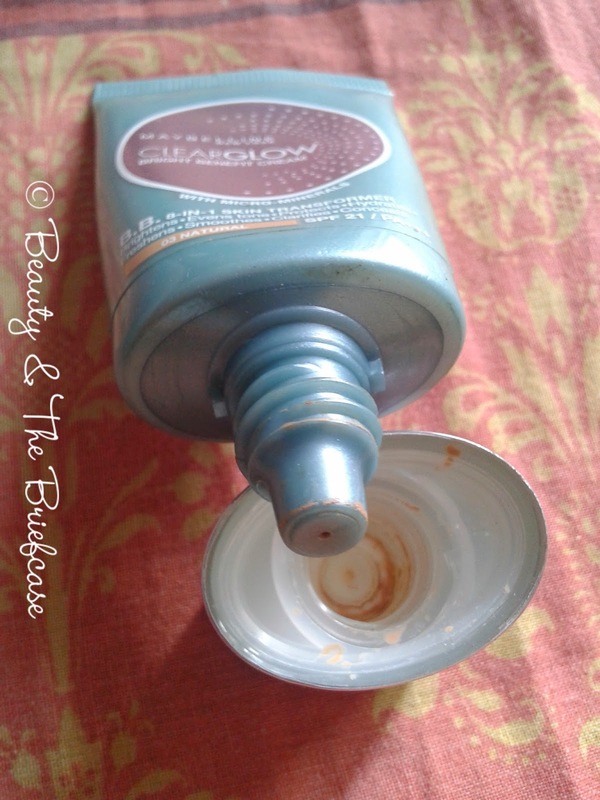 Gives a lovely dewy finish! You should try this out if you haven't found your perfect BB Cream. If you have oily skin don't try this instead pick up the BB Stick by Maybelline since that works wonders for oily skin. Did you like this review? Do leave your views in comments! I had used it too & agree that it does not work on oily skin..but the stick is just amazing.